Highlights of Swindon's 3-2 win over Blackpool in the Sky Bet League One. Nicky Ajose scored a hat-trick as Swindon overcame wet and windy conditions to beat Blackpool 3-2 at the County Ground. The one-time Manchester United trainee netted an 88th-minute winner to send Blackpool sliding to just one point outside the Sky Bet League One relegation zone. The visitors' goals came from Tom Aldred and Danny Philliskirk. It took Blackpool only two minutes to go ahead as Aldred headed in, but the Robins equalised 15 minutes later after a mistake from goalkeeper Colin Doyle let in Ajose, who reacted quickly. 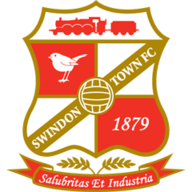 The swirling wind became stronger as the match progressed, making it hard for both teams, and it was Swindon who struck first in the second half. Just after the hour mark Ajose found the ball at his feet for the second time in the game to put the Robins in front from close range. 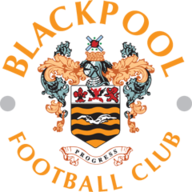 Despite their slow start to the second half, it did not take long for Blackpool to counter and Clark Robertson was brought down in the area by Bradley Barry, with Philliskirk slamming in the resulting penalty. Ajose completed his treble late on with another clinical finish as Blackpool were drawn closer to the bottom four by Fleetwood's win against Scunthorpe.